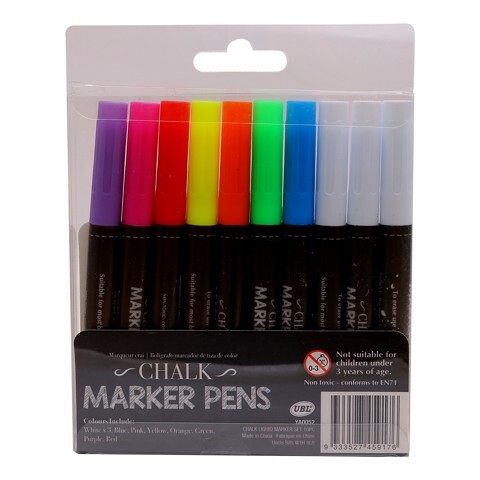 Chalk Liquid Marker Set 10Pc. Length marker 13cm. White x 3pcs | Blue | Pink | Yellow | Orange | Green | Purple | Red. PP Pen Body | Fibre Tip. 0 Packaging: Hang Sell PVC Box with Colour Insert Card.